These literary masterpieces are made easy and interesting. This series features classic tales retold with color illustrations to introduce literature to struggling readers. Each 64-page hardcover book retains key phrases and quotations from the original classics. 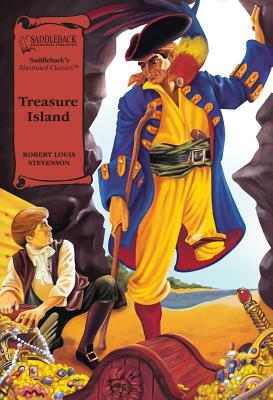 This masterfully written story of buried treasure, piracy, and swashbuckling on the high seas is an unforgettable adventure, filled with excitement for all ages. It begins in merry ol' England and entwines its way with intrigue and adventure to an exciting climax on an exotic tropical island.